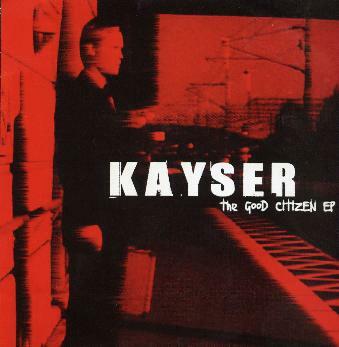 Kayser - "The Good Citizen"
Kayser is a band that was formed from the ashes of the Mushroom River Band and features two members from that band, including the singer, Spice, and known for his role in fronting Spiritual Beggars during their best years. What you get is 4 tracks, 15 minutes and one video! Good Citizen is like old school Spiritual Beggars but that soon changes. Lost in the Mud is old school 80's thrash metal style stuff. Fall is a short 2 minute instrumental track with strumming guitar and is quite melodic. Propaganda is next with a real heavy metal riff. The video track is for the Good Citizen and shows the band playing in a very nice wooden studio room (no amps) and goes back and forth between a very straight looking guy doing a bunch of different stuff and in the end being very confused. Ok stuff but not that great. For more information you can visit the Scarlet Records web site at: http://www.scarletrecords.it.